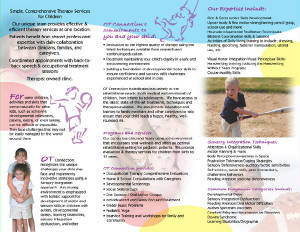 This was a fairly standard tri-fold brochure designed for OT Connection, Pediatric Therapy Services. 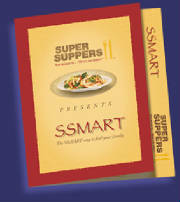 This is a fairly good example of standard full-color photo and design elements layout with a large amount of text. 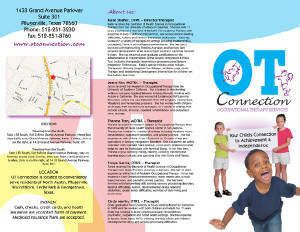 This does not show the standard address area in the center panel of the outside, as the client didn't use this brochure as a mailer, but instead as a handout. This also shows usage of standard graphic images, colors and styles.